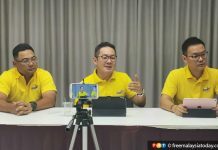 Sarawak Association For Peoples’ Aspiration president Dominique Ng (centre), publicity and information chief Peter John Jaban (second from right) and other officials at a press conference in Kuching today. proposed English version, which refers to the two states as the “Borneo States” with equal status to Malaya. Sapa president Dominique Ng called for a motion to debate the change from “negeri” to “negara” in the forthcoming meeting of the Sarawak state legislative assembly. 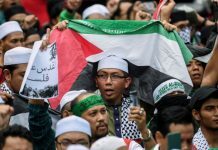 He said the two words meant different things, adding that it was surprising that the Pakatan Harapan MPs failed to point this out. At a press conference here today, Ng said the use of the word “negeri” in the Bahasa version of the constitution meant the status of Sabah and Sarawak was the same as the other states in the peninsula. 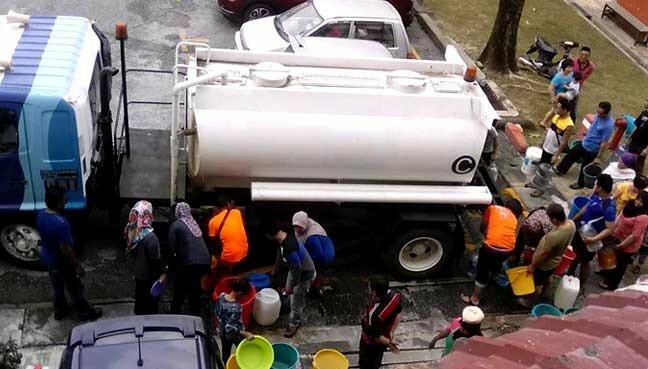 “The Sabah and Sarawak MPs who supported the Bill failed to do an in-depth analysis on the amendment. “We ought to remind the Sarawak MPs that they are duty-bound to speak on behalf of Sarawakians who elected them,” he said. Ng said Sapa will hold a “Negara Sarawak” rally at Padang Merdeka here on April 28 at 4pm. The objectives of the rally are to demand for the status of Sarawak and Sabah in the Federal Constitution to be restored according to the terms of the Malaysia Agreement 1963 (MA63) and the proposed amendment redrafted to reflect the Borneo States as “negara”. 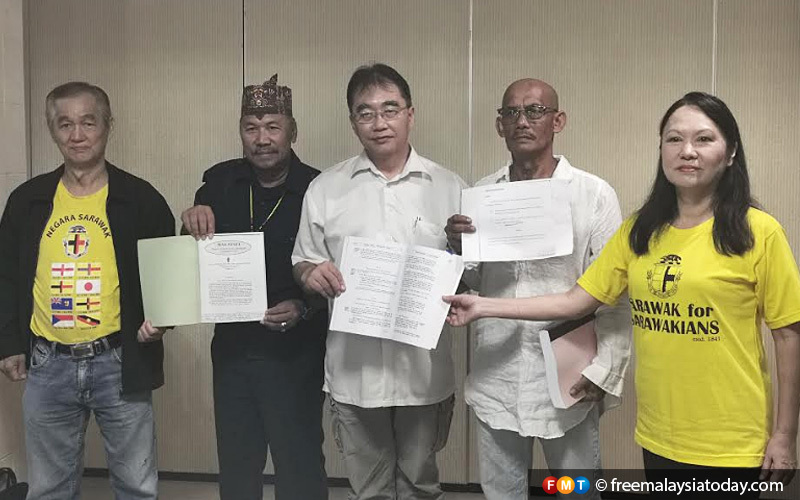 SAPA publicity and information chief Peter John Jaban said they want the amendment to reflect clearly that the federation is made up of the sovereign states of Sarawak, Sabah and Malaya – the three “negara” which jointly formed Malaysia. 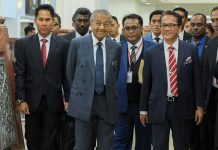 “Even Prime Minister Tun Dr Mahathir Mohamad had made it plain in a televised talk on Sept 14 last year that the correct terminology to fulfil the terms of the agreement should be ‘Negara Sarawak’ and ‘Negara Sabah’. “It has been a long struggle to put this issue on the agenda so we had better get it right,” he said, urging the people to join the rally.